If you are looking for some competitive one design racing or perhaps some more gentle cruising, the Hunter Sonata could be the boat for you. At 7 metres long it can easily be handled by two for cruising, but for racing you will need 3 – 4 crew in order to cope with all weather conditions. The Sonata was produced by Hunter boats between 1976 and 1990 and some 479 were built during that time. 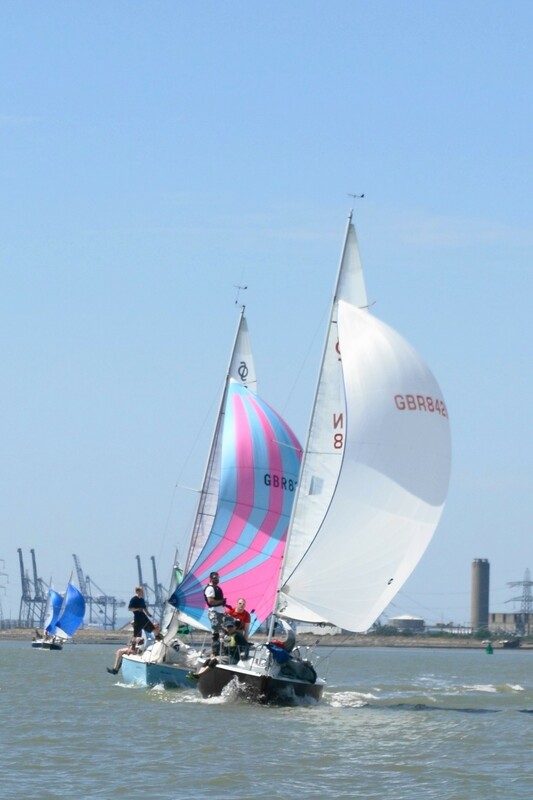 There are essentially two models to choose from, a fin keeled version which can be raced in our one design class on a Saturday afternoon, and a lifting keel boat ideal for cruising, but which can still race within the cruiser class of the MYC on a Sunday. The Sonata offers tremendous value for money and with over 30 boats at the MYC (we have the largest fleet in the world!) you are assured of a warm welcome with as much advice, help, or information that you should need. Contact the any of the committee members below for more information or if you fancy a taster. Boats are always looking for crew so please get in contact.